If there is one thing that can characterize Asian cooking, it would be the use of herbs, spices, and multitude of flavors in its preparation. The end product usually captures the attention of our sense of sight and smell but it is ultimately its effect on our sense of taste that will make the difference. The use of ingredients that produce the complexity of flavors is a requirement for Asian cooking. In Southeast Asia alone, multi-cultural influences play majorly with the way each country prepare and savor their classic dishes. One hotel captured the vitality of four cuisines from the Southeast Asian regions. 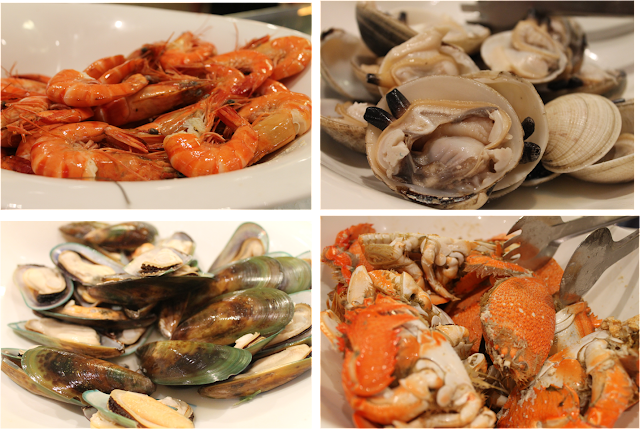 Marriott Manila brings home four of the Asia’s most famous cuisines. 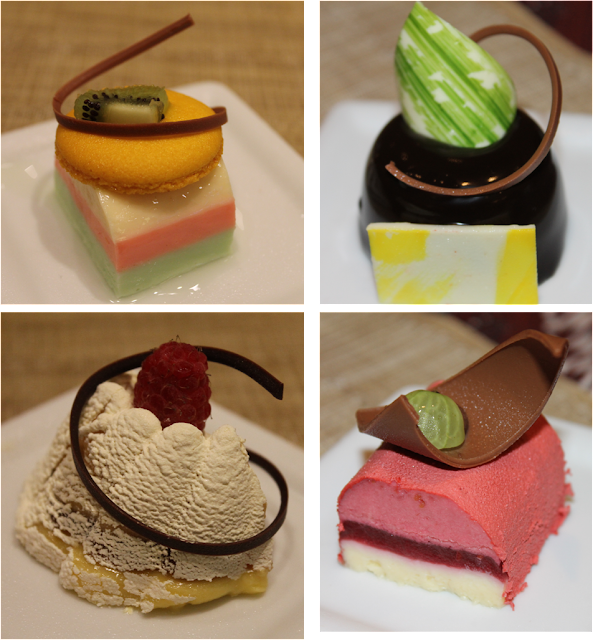 From Thailand, Malaysia, Indonesia and Vietnam, Marriott Cafe tantalizes everyone with a masterpiece through a month-long celebration of Oriental flavors that’s uniquely Marriott. Catch the gastronomic South East Asian tour with these beverages which sort of capture the distinctness of each featured cuisine. From left is a cold glass of Limade (fresh Lime juice), Apolkat shake (Avocado with chocolate), Thai lemongrass, Teh Tarik (black tea with condensed milk popular in Malaysia. Back by popular demand, Thai food definitely deserves all the hype for its four fundamental tastes that we Filipinos love: sweet, sour, salty, and bitter. Chef Thanatorn Krobsuay who trail blazed the first two consecutive most-talked about Thai Food Fest at Marriott Café, there’s no denying that it’s one of the cuisines we regularly crave for. Read it here [Thai Kingdom Come at Marriott Manila]. This year, chef Thanathorn makes the selections more lavish and worth discovering with his new menu line up such as: deep fried sea bass with chili sauce, sautéed squid with pineapple and cucumber, beef balls cooked with typical Malay sauce, and braised beef spiced with turmeric and coconut. 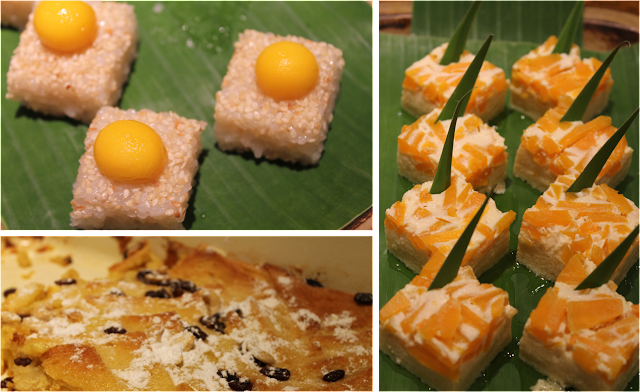 More than its legendary nasi lemak, chef Ruhizad Muri gives foodies a taste of Malaysia’s noteworthy nyonya cuisine. A signature Penang-type of cooking that blends spices from roots (galangal, turmeric, and ginger); leaves (pandan, lime, and laksa); fruit (lemon, tamarind, and green mangoes); together with other ingredients like shrimp paste and chilies. Imbibed from Thai cooking style, chef Ruhizad puts an interesting twist with the time-honored wok dishes of Malaysia. This section invites everyone as well to get creative with blue crab, shrimps, dilis fish, beef tenderloin, chicken, clams, barbeque chicken, steamed fish, assorted vegetables peppered with Malaysian spices. A native of Ho Chi Minh, chef Phan Thien Hoa presents well-rounded Vietnamese dishes notable for its minimal use of oil, bountiful use of herbs and vegetables-- which shouldn’t make one wonder why it ranks as one of the healthiest foods in the world! Most travelers would agree that a Vietnam trip is never complete without tasting a steamy and flavorful bowl of pho. Considered the heart and soul of Vietnamese cuisine, it features a delicious play on broth, rice noodles, meat, herbs and spices. Another delicacy that Vietnam is famous for is the Vietnamese spring rolls—soft rice wrappers filled with choicest meats and vegetables such as shrimps, tofu, chicken, and beef. Enjoy it fresh and slow at this special section which will make you feel the charming street-food style eating in Vietnam. Much more, we believe that food and travel are a perfect way to go if someone wants to have an in-depth experience of a local destination. With this in mind, our Marriott properties in Thailand, Malaysia, Indonesia and Vietnam, are giving away three days and two nights gift certificates to four lucky diners of Flavors of Asia—all you need to fully enjoy a one hundred percent Asian experience! Catch my next post and I will give you a peek through what I had at the buffet and how my Asian culinary experience have been redefined at Marriott Cafe.